When I open the “IIDAutomation_GS1-DataMatrix_FileMakerBarcodeGenerator.fmp12” file from the downloaded zip file, and immediately print to PDF, the GS1 2D barcode prints just fine, but the human-readable text disappears. It doesn't appear in PDFs or direct prints. I've checked to be sure that field isn't set to "hide when printing" or anything crazy like that. The object uses the Web Viewer for display. The blurriness is an issue reported in FM 12, incident 138652. I recommend reporting it to FileMaker Support to see what can be done to resolve the issue. This issue with the object disappearing is probably related to the same issue. The only way around using the Web Viewer for display is to use the Plugin that is supplied with the Data Matrix Barcode Font Package. However, the plugin is not compatible with 64 bit versions of FM on the Mac. If the barcode and HRI are crisp and clear on macOS, but fuzzy on Windows, it is not caused by an issue with our product but an issue with the Web Viewer in FileMaker. Most likely, if you upgrade to the latest version the problem will be resolved. jlg89tx	 The FMP 12 "fuzzy webviewer content" issue was resolved in FMP 13, according to the linked thread. In FMP 17, if I zoom in while in Preview mode, the webviewer barcode & HRT are crisp and clear on macOS, but fuzzy on Windows. But they both print on Windows, whereas the HRT won't print (not even to PDF) on macOS. So I don't think this is the same issue. Will check with FileMaker support. jlg89tx	 I checked it using FileMaker Pro 16.0.1.162 and FileMaker Pro Advanced 17.0.3.304 on Windows 10, and the HRT prints; however, both the barcode and the HRT are printing out very bitmapped and choppy. Which is probably a different issue, but does need fixing. 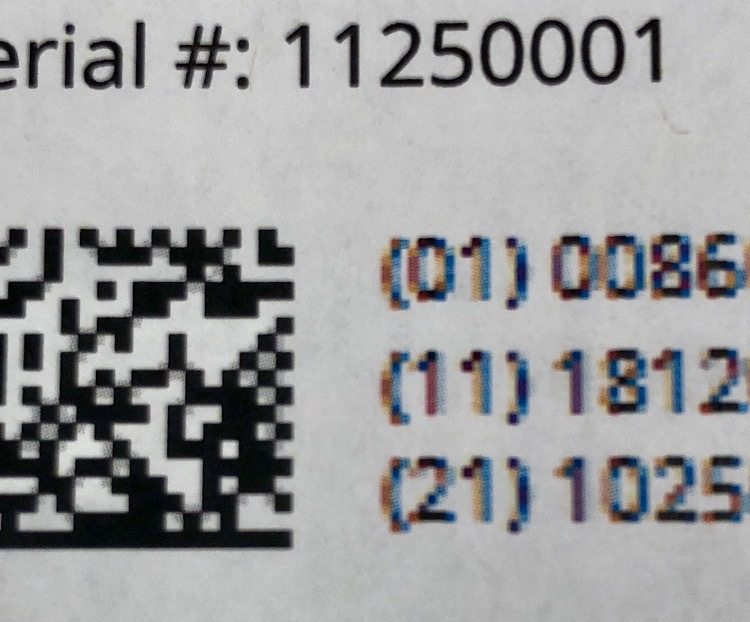 The 2D barcode, when printed from macOS, is crisp and clear, and I assume the HRT would look great as well--if I could get it to print.